Building blocks are one of the most basic and common toys for children. Not only that, though, block play is an important activity for children as they develop both intellectually and physically. One of the greatest things about blocks is that fact that they grow with your child, providing great developmental value at all ages early in a child’s life. In this post, you will learn: 1) ways that your child can learn STEM skills from playing with blocks, 2) fun activities that your child (and possibly you) can do with blocks, and 3) our recommendation for what collection of blocks to purchase for your child. Though there are others, here are 6 ways that blocks can help your child develop STEM skills. Block play can spur 3-dimensional creativity. Touching and manipulating the blocks can also stimulate certain parts of the brain not normally engaged through other play (Credit). Starting out, they may notice the difference between two stacks of blocks (i.e., one tower has more blocks than the other). As children get older, they may begin learning other math skills through block play. For example, using unit blocks may lead children to realize that two half-blocks are equivalent to a full block. Or, that two “ramp” blocks are equivalent to two normal blocks (in other words, two identical right triangles create a rectangle). Ramps–also known as inclined planes and perfect examples of a simple machine–are a common child creation with blocks. Looking back, they were my first introduction into gravity: ramp + Hot Wheels = extra acceleration. Technology in block play revolves around the idea that kids find new and inventive ways to use blocks to create certain functions. For example, just like the prior item using ramps to create car “boosts”; or children can use blocks to create roads or animal cages. Block play can be great for leveraging children’s innate curiosity. Your child may not necessarily grasp the why, but he or she will quickly learn that stacking blocks in a certain way leads to them falling down. As they experiment, they develop a sense of balance and understand a symmetrical build may lead to more stability for their building, tower, dinosaur, etc. Children also learn that certain shapes (e.g., spherical shapes) can not be used as bases, further reinforcing notions about balance. Fine motor skills are not only a STEM skill, but it helps develop a sense of using one’s hands to make something new. And using blocks helps children develop basic dexterity that will aide them later as they begin build things. This activity works well with basic cube blocks. Start by stacking the blocks one-by-one, counting incrementally after each one. Keep stacking until the tower falls; then, ask your child questions: “How many blocks did we have before it fell?” or “Why do you think the tower fell?”. After your child answers, you can then follow-up with: “Let’s see if we can stack more than before.” or “How could we make the tower taller?”. You can use blocks (or Lego / Duplo / MegaBloks) to measure items: “How many blocks tall is an object or person?”. You can get a printable sheet from Hands On As We Grow to help you document observations, adding a little more science to the activity as well. Find a “fillable” object, such as a book or a leaf, and then ask your child to fill the surface of the item. Once done, your child can count the number of items, effectively determining the area (measured in blocks). Using the example mentioned earlier, you and your child can construct ramps. Rather than use pre-made ramp blocks, I suggest stacking blocks and then placing something flat and light on top of them to create your own larger ramp. Then, you can vary the height and observe how far cars can travel depending on the height. 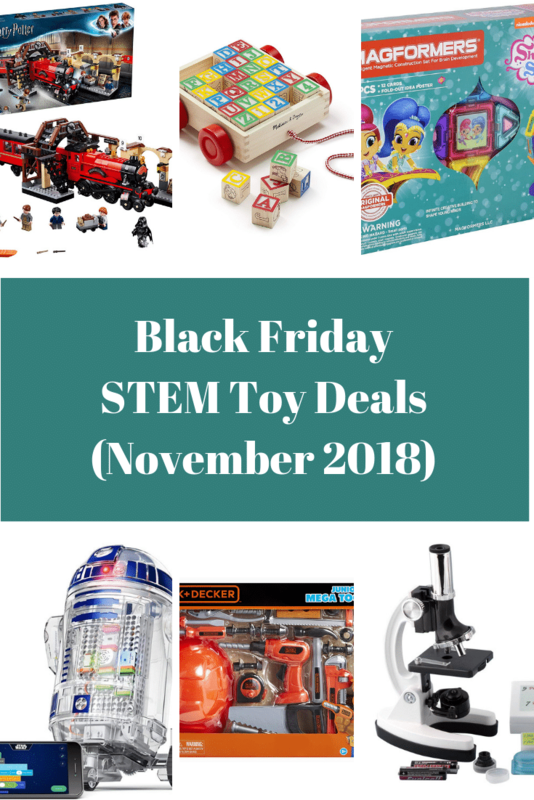 I suggest checking My Bright Firefly’s extensive list for other STEM block play activities. There are lots of blocks out there, but these are the 4 that we suggest (note: these include affiliate links which help support the site at no extra cost to you). I recommend these in order to add a bit of color to your block fun. These large collection of blocks gives your child variety for their block play. Not only that, but it comes with a convenient storage tray. Lego are the classic block building toy. Though, I recommend waiting until your child is a little older (e.g., I started letting my 4-year old play with them shortly after she stopped putting everything she found in her mouth!). Read our Tegu Blocks review to learn more about these wonderful little blocks.